Roush Performance is, for the first time ever, adding the Ford F-250 Super Duty to its family of performance-oriented modified vehicles, and today, the company released its first few images of the forthcoming model. The truck, based on the all-new, aluminum-bodied Super Duty with 6.7L Power Stroke diesel V8, has been designed to maintain factory towing and hauling capabilities, while delivering stronger handling performance and a bolder appearance. The build starts with an aggressive, high-flow Roush Performance grille with integrated clearance lighting, and a meaner-looking front bumper cover with chrome end pieces. 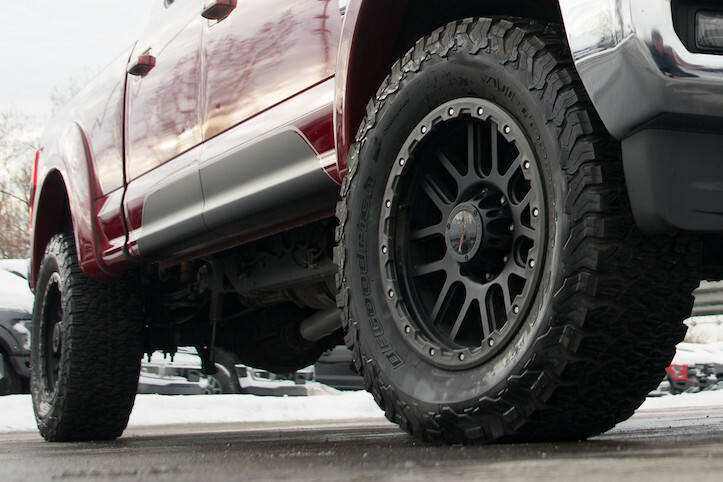 A Roush/Fox 2.0 suspension upgrade raises the ride height by 1.5 inches – enough to allow for big, 20-inch Roush wheels with integrated bead protection, wrapped in BFGoodrich KO2 All-Terrain tires measuring 35.3 inches in diameter. Those wheels and tires are encircled by new body-color fender flares with integrated clearance lighting, while a Roush graphics package elevates the sporting appearance even further. The all-new Roush F-250 will be available – with a Roush Performance warranty – through certified dealers across the US. Order banks are open now. The Roush F-250 will join a performance-oriented Ford model lineup that includes the Roush F-150, Roush Raptor F-150, and a few different levels of Roush Mustang. While the Roush Raptor might seem the most titillating option for a Roush Performance-built Ford truck, we will say this: the Raptor doesn’t have anything like the 925 lb-ft of torque delivered by Ford’s 6.7L Power Stroke. If you care about looks and performance but you’ve got a racing trailer to tow, the Roush F-250 is the truck to have. For more photos and info, click here.